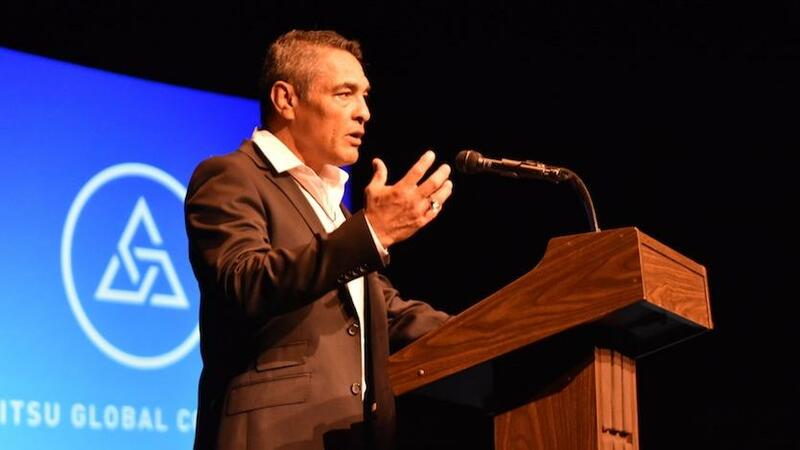 Rickson Gracie commented some strong words for the current state of sport jiu-jitsu. Referring to what he called “anti-jiu-jitsu,” Gracie complained about what he perceives as rampant stalling, saying it endangers the future of the sport. “I see 10 fights of black belts. Nine, I feel like ‘what are they doing there?’, – Gracie said. “They don’t even want to fight. They want to win the match by a little advantage”. Gracie stated he felt competitors were more interested in “a little medal” than they were in proving who was the best. “That’s really jeopardizing our culture. We have to bring back the idea of fighting to be the best with simple rules, dynamic action, nonstop”, – Gracie said. Some fights today of 10 minutes, seven minutes are completely stopped, nobody moves. This is really bad for the sport, but it’s not the fault of the athletes. As a founder of the JJGF (Jiu-Jitsu Global Federation), Gracie has given his approval to a series of rules that will be utilized at an upcoming tournament in Albany, NY. This is not the first time Gracie has proposed rules that provide an alternative to those generally accepted to be the de facto industry standard, such as the IBJJF’s or UAEJJF’s current regulations.